Are you looking for unique wall decor for your dining room? WiseDecor has what you’re looking for! 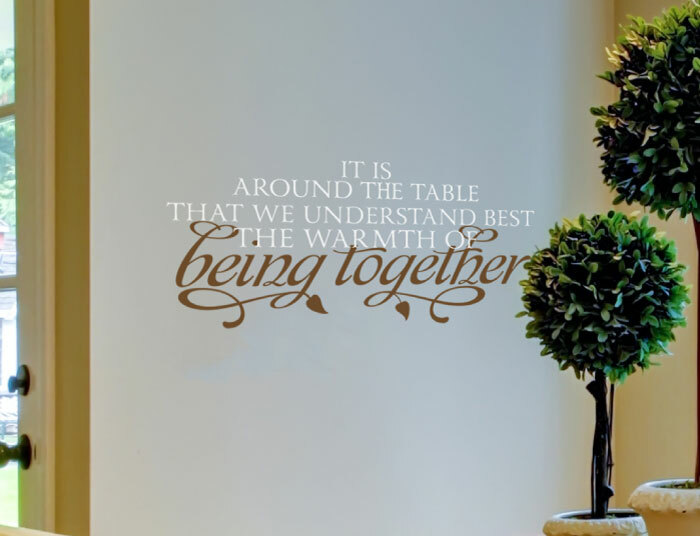 ‘It is around the table that we understand best the warmth of being together’ wall words are dining room friendly. They are also custom made to fit into your style! We chose them for this stunning space shown in the photo. The theme here is outdoors based. We chose colors for the lettering that tie in to this style. They also complement the furniture in the room: Parsons styled chairs, wooden dining table and the potted Bonsai plants. 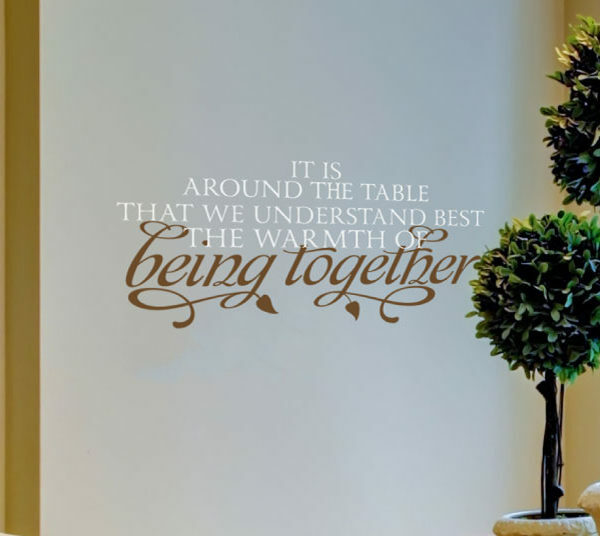 Your friends and family will enjoy the dining experience that is aptly described by the eye catching message on the wall! Our wall decals are available in different colors. This makes it easy to have custom wall decor that is also a great accessory! They are also obtainable in different sizes meaning that they will fit on to any wall space in your home. Use our previewer on our website to help make sure that the chosen size, color and style is appropriate for your space. It takes out the guesswork and enables swift and accurate choice selection! We have matte wall letters for well lit rooms. This gets rid of any glare experienced in rooms with a strong light source. 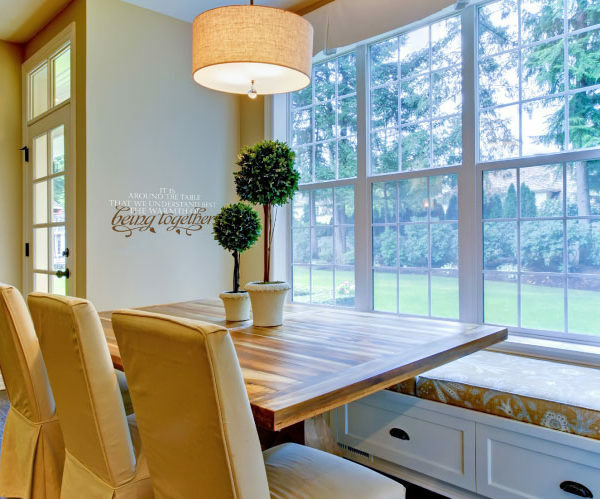 Check us out on our website for more ideas on how to decorate your dining room with our affordable yet striking wall decor!